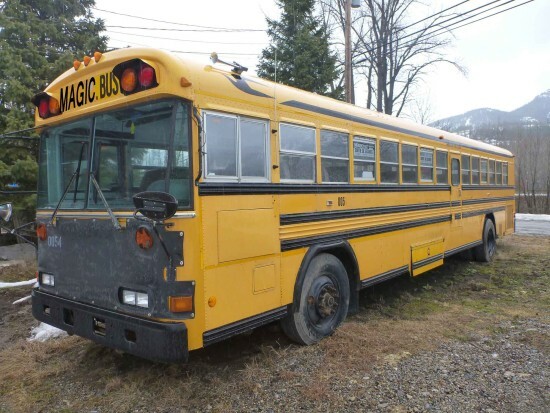 Imagine a magical school bus that is home and transportation to a half dozen creative characters – artists, visionaries, storytellers, crafters, dreamers, performers, and musicians – all sharing their unique perspective of an incredible collaborative adventure through their unique personal creativity. The bus is fueled by recycled vegetable oil, powered by solar, and contributed to by an entire community of passionate people giving through their gifts. Where is it going and what are these goofballs doing on the bus? That’s where you come in! The Collective Tribe’s transmedia storytelling adventure features a school bus project, aimed to provide a solutions-based platform for people to uncover self-empowerment, develop their gifts, and build a supportive community through the creative arts, play, and practical service. The first stage to this collaborative story is the conversion of the bus and the weaving of our dreams. To provide mobile transportation and a temporary living space for people to devote themselves to living a life thriving through their personal creativity. To operate The Dreamweaver Bus through a diesel to veggie oil fuel conversion and solar energy. To offer transportation to-and-from, as well as establish a sanctuary/home base camp for many people at Western Canadian music festivals during the summer of 2018. To build healthy, long-lasting relationships with individuals and communities through giving back in service to those offering viable solutions for harmonious living. To create a collaborative project with other people in order to create a strong sense of community among those participating and involved. To share the story of the bus through transmedia storytelling (using multiple mediums) that will include features of the various solutions offered by communities we go to help.